Camille is a recent 2018 graduate who is starting off her practicing years as an associate veterinarian here at Westlock Veterinary Center. She is eager to join the team, meet new clients and patients. She is looking forward to the ‘adventure’ of working as a mixed animal veterinarian and enjoys all animals, especially : cattle, horses and dogs. 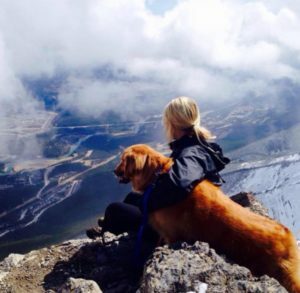 Camille grew up outside of Cochrane, Alberta on an acreage. After completing high school, she moved to Guelph Ontario and completed an undergraduate degree in Biomedical Sciences. 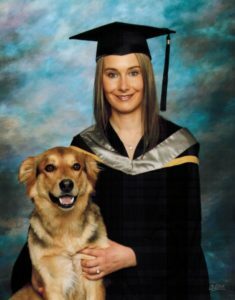 She was pulled back out when she received notification that she was accepted into the Doctor of Veterinary Medicine program in Calgary. In her spare time Camille enjoys horseback riding, road biking, working/ playing with her dogs and travelling. She is eager to meet everyone and looks forward to the exciting career she has ahead of her!